This group focuses on striving towards the safety and quality of foods through excellence in analysis by meeting international standards. Several fortified food products which have high market potential at an affordable price are being developed extensively by the team members. Food Technology lab has diverse equipment and machineries for pilot production of food products. Some of them have been developed in-house as well. 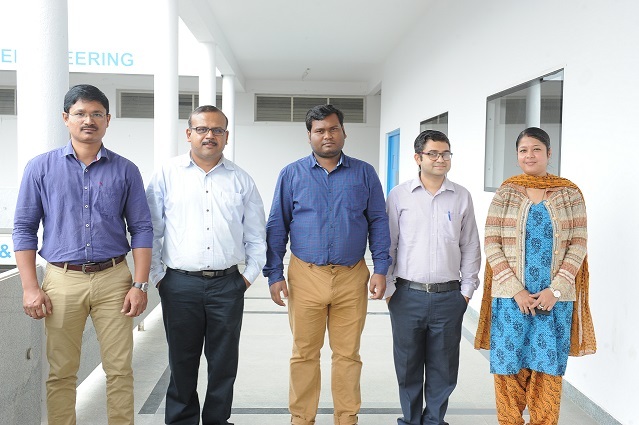 Food technology team is also focusing on developing various scientific approaches to evaluate the physical preservation and several other processing methods for various food products. Some of the specific areas are as described below. The team is working on the fortification of millets, wheat and soy flour to enhance their nutritional, functional and sensory qualities. The group is also working on the optimization of parameters for maximum popping of cereals. Mushrooms are a good source of proteins and nutraceuticals. They have bioactive protein molecules like lectins, laccases and nutraceuticals like riboflavin, niacin, vitamin D, ergothioneine, beta-glucans, terpenes and minerals like selenium, copper & potassium. However, the protein content of mushrooms is much lower than meat. 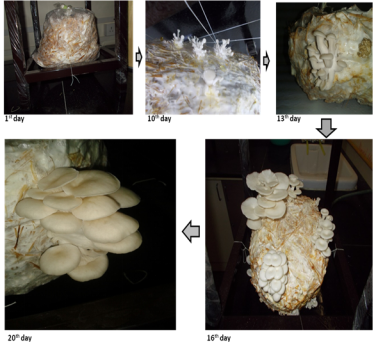 The team is also focusing on improving the protein content of mushrooms using various substrates in addition to, optimizing the process for the maximum retainment of nutraceuticals and proteins while making the mushroom powders. Formulations to improve the sensory attributes of kokum drinks and their sensory evaluation is being addressed using fuzzy logic and a new method developed based on simple mathematical calculations. Both the approaches lead to similar results. However, the new approach has been found to be more user friendly. The kokum formulation evaluated by this method has been marketed by the startup ‘Petrichor’. It is proposed to extend this method to other processed foods. The maltogenic alpha amylase is helpful in the production of maltose from starch. But this enzyme is stable only up to 40°C, which limits its usage in the processing of starch. Calcium can stabilize the enzyme up to 50°C and this can be further be improved upto 70°C, by using negative pressure. Pectinase has been used for the fruit juice clearance and oil extraction. Partially saturated canthaxanthin has been used as food colour and it was reported to show anticancer and antioxidant activities. When both the metabolites are treated with carbon nanotubes (CNTs), they have shown significantly high activity. Infrared assisted vacuum impregnation system has been optimized for the fortification of vegetable products with micronutrients. A prototype of this system is developed. 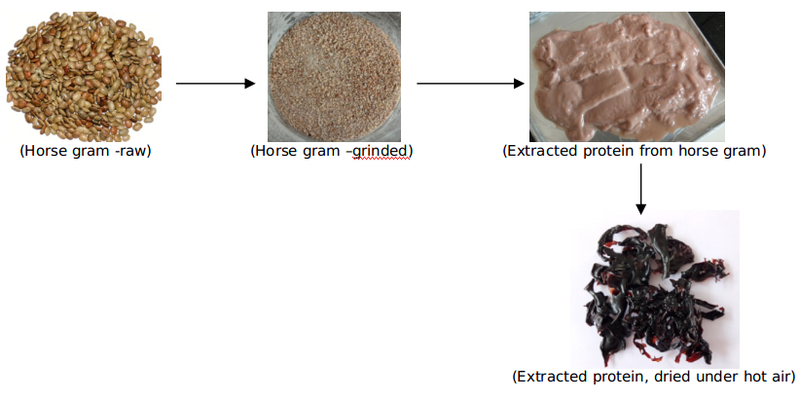 Horse gram being a cost effective source of protein, a process has been optimized for the extraction of proteins so that extracted proteins can be used in the formulation of instant foods. Low value byproducts (peel, pulp, kernel/seed) are generated during fruit and vegetable processing and they contain high value components like polyphenols, aromatic oils, proteins, dietary fibers, polysaccharides etc. 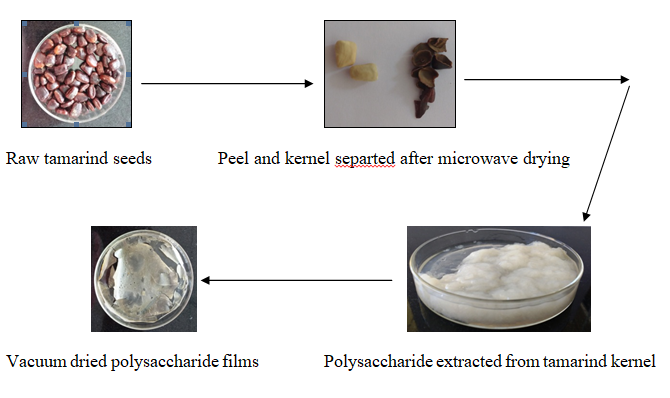 Currently work is going on with tamarind seeds to recover polysaccharide. Utilization of Used Packaging Materials for Steam Pipes Insulation. Banerjee S.,Meghwal M., Vivek C.S., Mitra J. (2017) Journal of Packaging Technology and Research 1(1): 45-51. A Short Review on Vacuum Frying-A Promising Technology for Healthier and Better Fried Foods. Banerjee S., Kumar C. (2017) International Journal of Nutrition and Health Sciences 2(2): 68-71. Rapid conditioning of cashew kernels by infrared heating. Banerjee S., Shrivastava S.L. (2016) International Journal of Food and Fermentation Technology 6(2): 357-366. Effects on quality during infrared and hot air conditioning of cashew kernels. Banerjee S., Mitra J., Shrivastava S.L. (2016) International Journal of Agriculture Sciences 8(52): 2511-2515. 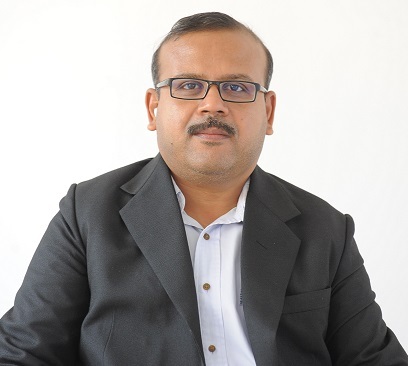 Dr.Ravi Kumar Kadeppagari obtained his education from the premier institutes of India, such as, Regional Institute of Education (Constituent of NCERT), Pondicherry Central University, Central Food Technological Research Institute (Constituent of CSIR). He has overseas postdoctoral experience at Northwestern University, Chicago and LSU Health Sciences Center, New Orleans, USA. He has been the recipient of the Young Scientist Research Grant from DST- SERB, New Delhi and completed projects from DRDO, DST and MOFPI. He played a major role in setting up Food Technology Division at Jain University by obtaining an infrastructural grant from Ministry of Food Processing Industries, New Delhi. He is the Editorial Board Member of American Journal of Bioscience & Bioengineering; Associate Editor of Journal of Analytical & Pharmaceutical Research and invited Guest Editor of Protein & Peptide Letters. 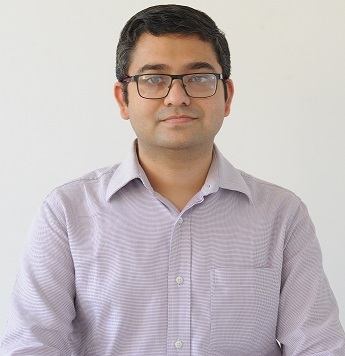 He is an active reviewer for the SCI/SCOPUS indexed international journals like Starch, Current Microbiology, International Journal of Food Science & Technology, Journal of Separation Science, Journal of Chromatography-B, International Journal of Pharmacy & Pharmaceutical Sciences, Phytochemical Analysis, Journal of Electroanalytical Chemistry and FEMS Microbiology Letters. He is a Biotechnology consultant at international consulting agencies such as ‘Zintro’ and ‘Acabiz’. He has various research publications in the Scopus and SCI indexed international journals and patents to his credit. Currently he is supervising one doctoral student and has already supervised three doctoral and four master’s students. He is a life member of Society of Biological Chemists, Association of Microbiologists of India, Indian Science Congress Association, Luminescence Society of India and Institute of Smart Structures & Systems. He served as the Chairman of Board of Examiners, Food Technology, Jain University and the recipient of achievement award for his research contributions from Jain University Trust. He is also the recipient of Junior and Senior Research Fellowships from CSIR, New Delhi. He is currently working as a Professor at the Centre and his current research focuses on the applications of enzymes, enzyme inhibitors, nanomaterials and biosensors in the food, health, biotech and environmental areas. Chandan Kumar Sahu obtained his education from Dr. Balasaheb Sawant Konkan Krishi Vidyapeeth (KKV), Dapoli and IIT, Kharagpur. Chandan has qualified in GATE and NET (Agricultural Scientists Recruitment Board, Dept. of Agricultural Research and Education, Govt. of India). He is a recipient of national talent scholarship (Indian Council of Agricultural Research, New Delhi). Chandan has an experience of three years and has publications and patents to his credit. He is currently working as Assistant Professor at the centre and his research focus includes simple sensory evaluation models, radiation technologies for improving the shelf life of fruits and formulation of energy drinks. Soumitra Banerjee obtained his master and doctoral degrees from IIT, Kharagpur. He is recipient of Research Fellowship from Indian Council of Agricultural Research (ICAR), New Delhi. He is also a recipient of Institute Fellowship from IIT Kharagpur. 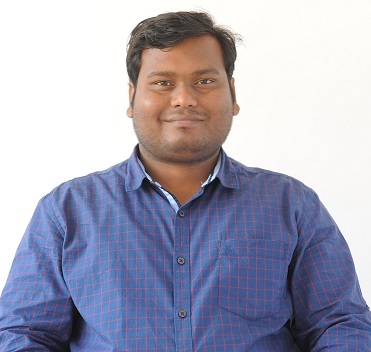 Soumitra has three years experience and has guided M. Tech. and B. Tech. students for their research projects. He has patents and published papers in national and international journals. He is a member of “Association of Food Scientists & Technologists (India)” and active reviewer of “Journal of Food Science and Technology” (Springer). He is currently working as Assistant Professor at the centre and his research focus includes fortification of micronutrients using vacuum impregnation technology and development of protein rich food products from underutilized legume like horse gram. Swarrna Haldar obtained her doctoral degree from IIT, Kharagpur. She is the recipient of Research Fellowships from Department of Biotechnology (DBT), New Delhi and has worked as Product Manager/NIR Application Specialist at Soquence Innovation Pvt. Ltd., sister company of Zeutec Optoelektronik GmbH (Germany). Swarrna is currently working as Assistant Professor at the centre and her research focus includes utilization of industrial food waste and underutilized seeds for the recovery of valuable products. She is Life Member of Association of Food Scientists and Technologists (India). Meghashree completed her Post graduation in Agriculture biotechnology from University of Agricultural Sciences, Dharwad in 2016. 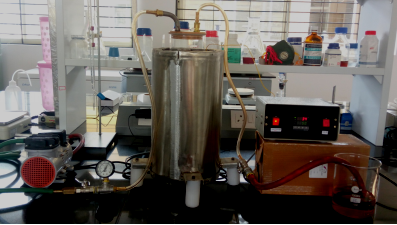 Worked as Junior Research Fellow under DST SERB project entitled ‘Development and demonstration of a synthetic biological model for cost effective bioethanol production with Maize cobs’, in College of Agriculture, Hassan, from August, 2016 to March, 2018. Presently working as Junior Research Fellow in DBT project titled “Estimation of food quality based on microbial load and microstructure keeping in mind consumer’s health and food safety”.